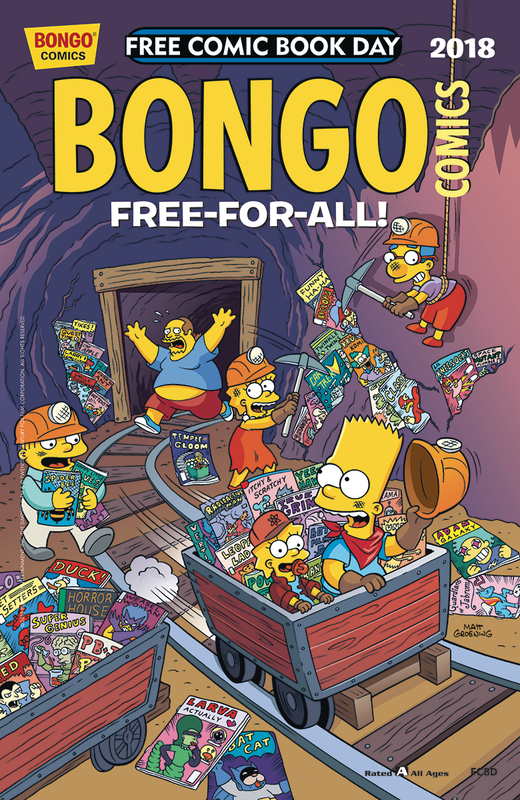 Bongo Comics Free-For All 2018 is a comic book that was free on May 5, 2018, which was Free Comic Book Day. "Get in line for the foremost Free Comic Book Day four-color giveaway of the year! Bart goes in search of adventure one particularly hot and boring summer day; Milhouse exacts revenge on his bullies; Lisa, of all people, gets her own "...the Clown" show; and Kang and Kodos make an ill-advised alien abduction. It's a fabulous and frenetic funny book for the ages (all of them), and it's all free!" Modified on May 6, 2018, at 13:14.